It's now 2019, the year in which Blade Runner takes place. And while there are no Nexus 6 replicants running around, here's one thing from the film brought to life. Adam and modelmaker Kayte Sabicer reveal the Blade Runner blimp prop replica they've been working on for months! 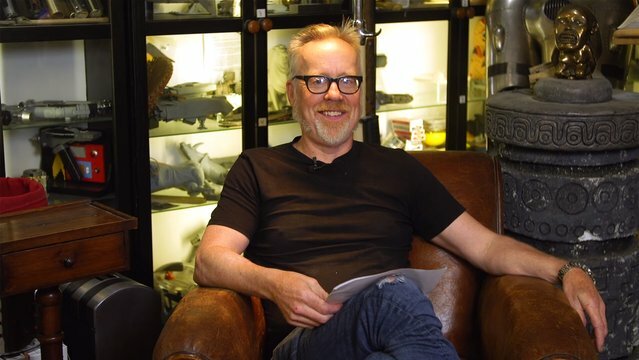 Adam shares his favorite things from 2018! From garage resin kits to aerospace replicas, Adam celebrates objects and gear from makers that he's admired and worked with this year. Plus, a piece of tech he uses every day that radically improves his life. What have been your favorite things of 2018? Share with us in the comments below! Adam puts together the very complex and intricate assembly of 3D printed and machined parts for his NASA ACES spacesuit helmet replica. This helmet includes contributions from multiple makers, including The Broken Nerd, Punished Props, and Shawn Thorsson. And as is sometimes the case with a One Day Build, this build isn't without its complications. Armor designer Melissa Ng (aka Lumecluster) visits Adam's cave and brings her new Phoenix Gauntlets, a modular design that she's been designing and prototyping for two years. Based on historically accurate 15th century gothic armor, these beautiful gauntlets are also surprisingly flexible and comfortable. Adam can't get enough of them! 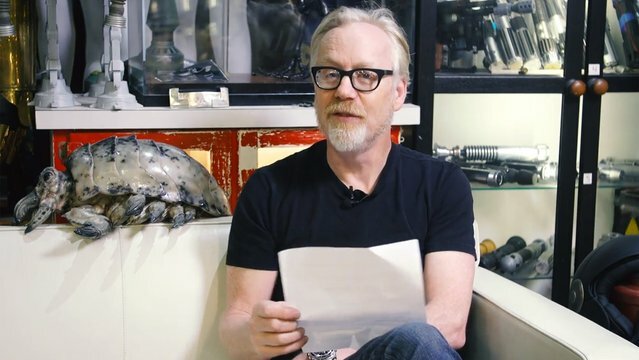 Adam Savage's Spacesuit Sketch Poster! 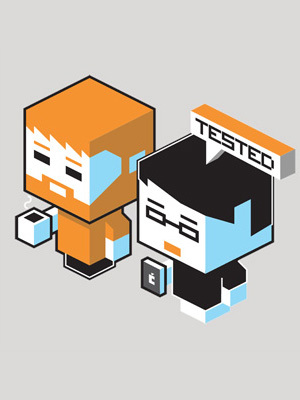 Adam reveals this year's thank you gift for the Tested Premium member community! It's your support that directly allows us to make our build videos and share the stories of makers. The posters are shipping in early November, and anyone who signs up now or has signed up since May 31st will get one! Get yours here! 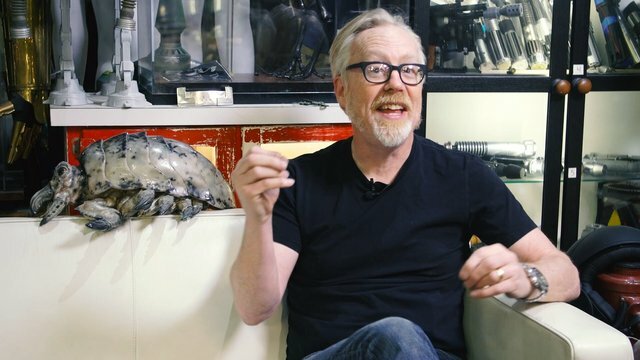 Adam Savage Meets the Spacesuits from First Man! Spacesuit replica maker Ryan Nagata brings to the cave several of his spacesuits and spacesuit parts he made for the movie First Man! Adam and Ryan talk about his build of the X15 suit seen in the film, the technical accuracy achieved by the costume department, and what he learned from making pieces to be filmed for camera. 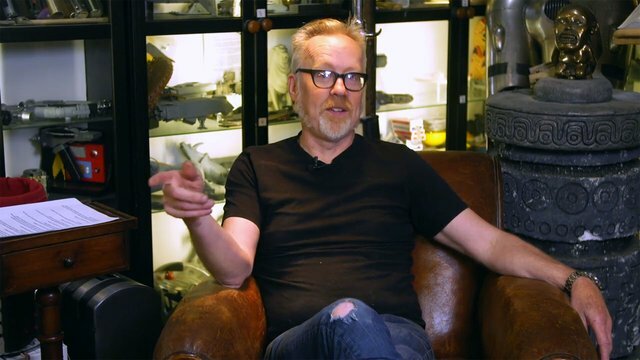 Adam Savage's newest spacesuit replica project is the NASA Advanced Crew Escape Suit (ACES)! Known as the "pumpkin suit", this iconic orange pressure suit was worn by Space Shuttle astronauts since 1994. Adam's replica is finally complete and ready for its first test fitting ahead of New York Comic Con! Alan Eustace's World-Record Stratosphere Jump Pressure Suit! 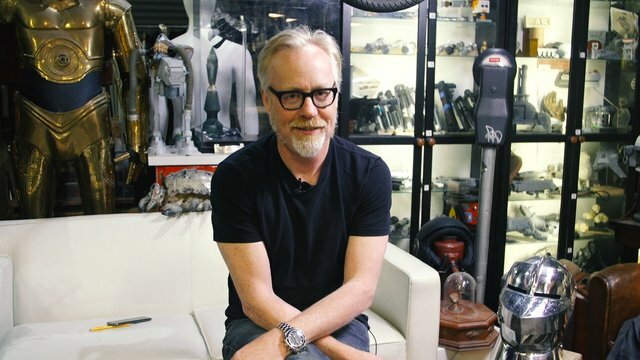 Adam Savage's Starchild from 2001: A Space Odyssey! 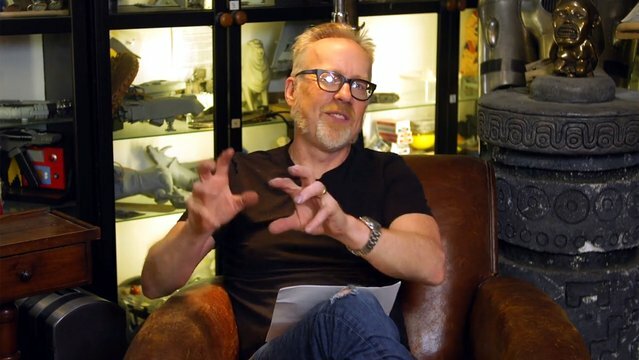 Adam Savage Meets Barnaby Dixon's Puppets!